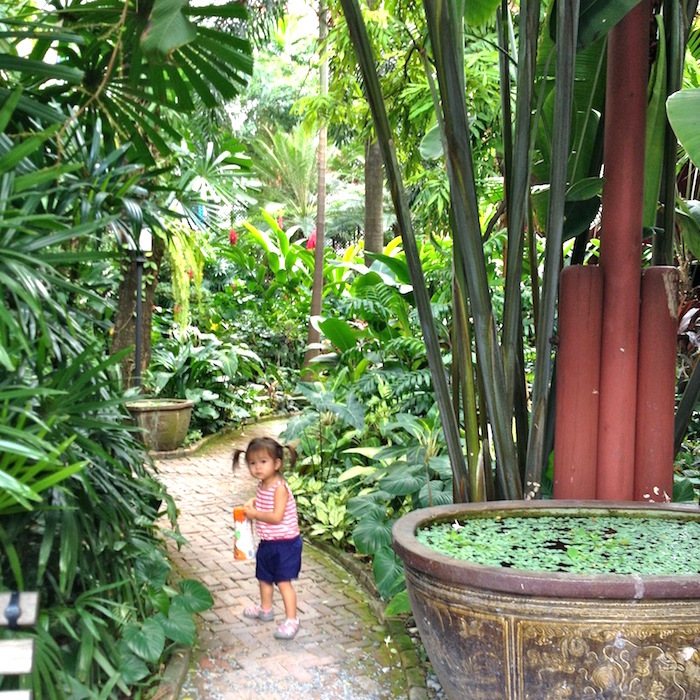 I have traveled with my daughter from California to Asia once or twice a year since she was five months old. Here are some of the places we have visited. If you have any questions, please feel free to email me at ria@sugarcanesf.com. I would be happy to share our experiences. Tsutaya Bookstore's T-site, Okura, Saturday and Onitsuka in Tokyo's creative Daikanyama neighborhood. The Meiji Shrine is said to be the most important in Tokyo. 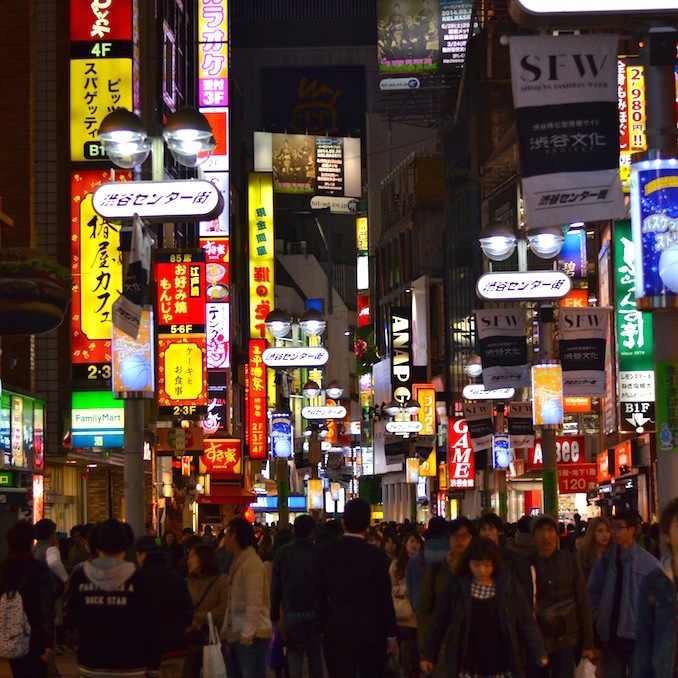 Right outside the gates are Harajuku Street's kooky shops. When in Tokyo, partake in karaoke fun. Kids love holding the mic and there are even nursery songs with which they can sign along. Fushimi Inari Taisha's distinctive feature is the thousands of orange torii gates lining the path from the base to the top of Mount Inari. This is the kind of place I love. It is beautifully situated in a garden and all the dishes look like works of art and taste delicious. Feed the deer outside Tadai-ji if you dare and then walk up and find enlightenment in the temple. 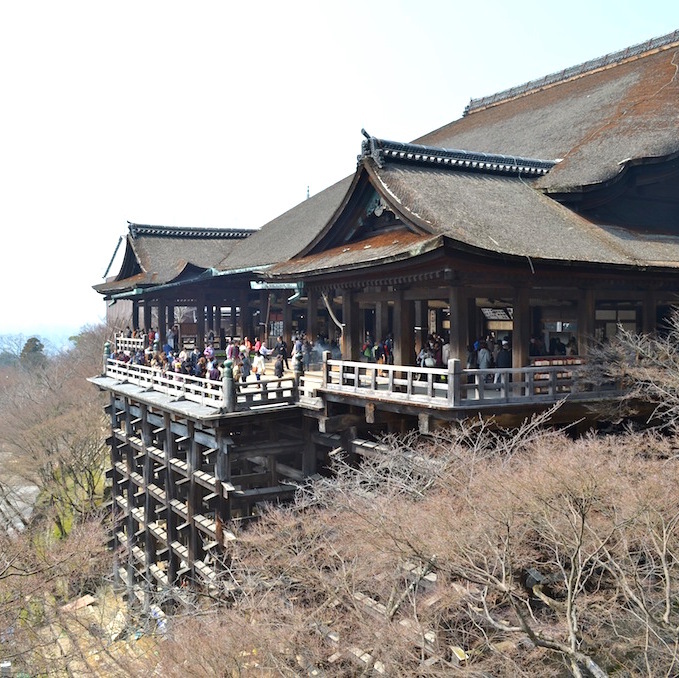 Kiyomizu means pure water. This present structure was built in 1633 and does not use a single nail in its construction. Lovely wooden shops and tea houses line the narrow, winding hills of these two famous streets. We thoroughly enjoyed our stay at this traditional ryokan with their comfy rooms, hot furo bath, and delicious omakase meal. A photo diary of Kyoto. A photo diary of Kyoto and Tokyo. A photo diary of Tokyo. Official residence of the Kings of Siam and, later, Thailand since 1782. It is made up of many buildings,halls and pavilions surrounded by gardens and courtyards. Beautifully preserved teak villas that showcase Jim Thompson as an innovator in interior design, furnishings, and art. Named best restaurant in Asia for its progressive Indian cuisine, Gaggan is not suited for small children so have your concierge find a table and a babysitter. For the royal treatment, stay at this Lanna kingdom palace.